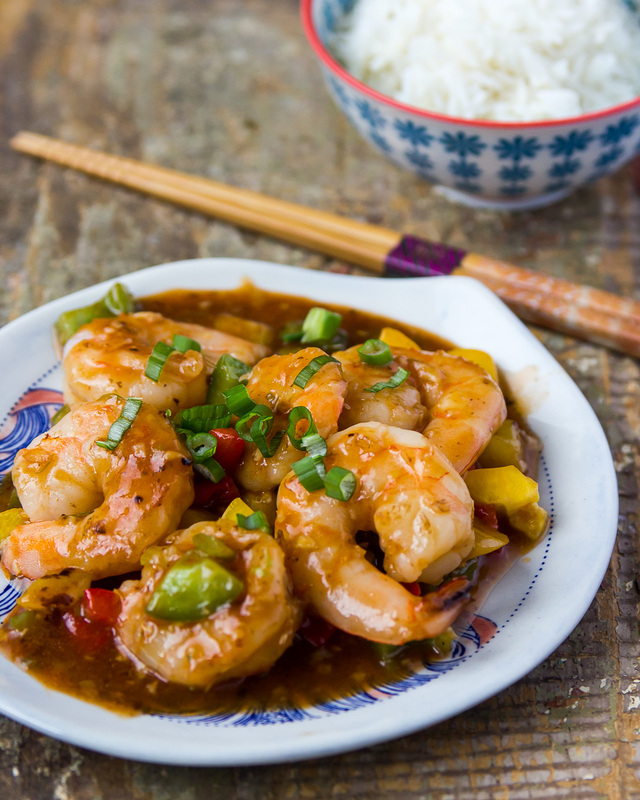 A classic oldie but goodie, this succulent shrimp stir fry has hints of garlic and ginger in a pungent, not too sweet and tangy sauce. Diced peppers add color, texture, and flavor. Sea scallops can be substituted for the shrimp if you like, and cooked until they are just opaque. This dish can easily be prepped in advance. Dice the peppers, clean the shrimp, mince the seasonings, and assemble the sauce. Refrigerate everything but the sauce. 20 minutes before you are ready to cook, make the marinade and add the shrimp. Then it's a quick stir fry and dinner's on the table.Steamed rice makes a nice accompaniment. 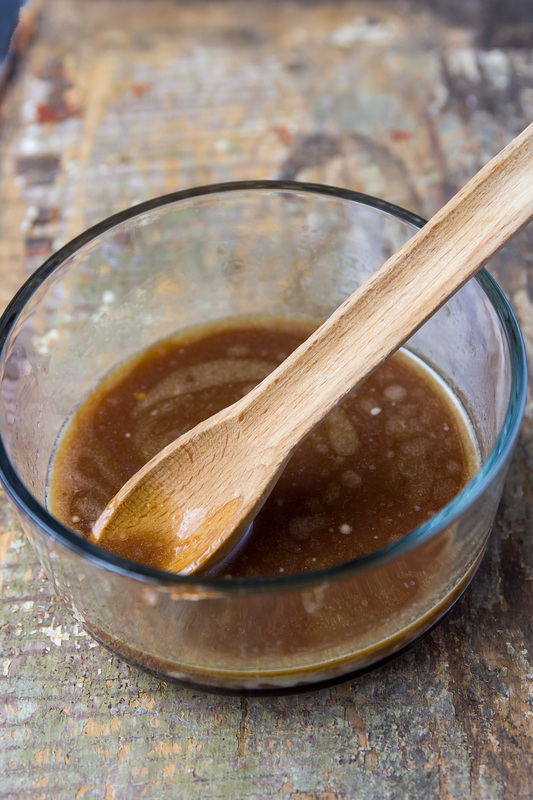 Combine the marinade ingredients and place in a zip lock bag. Add shrimp and refrigerate for 20 minutes. 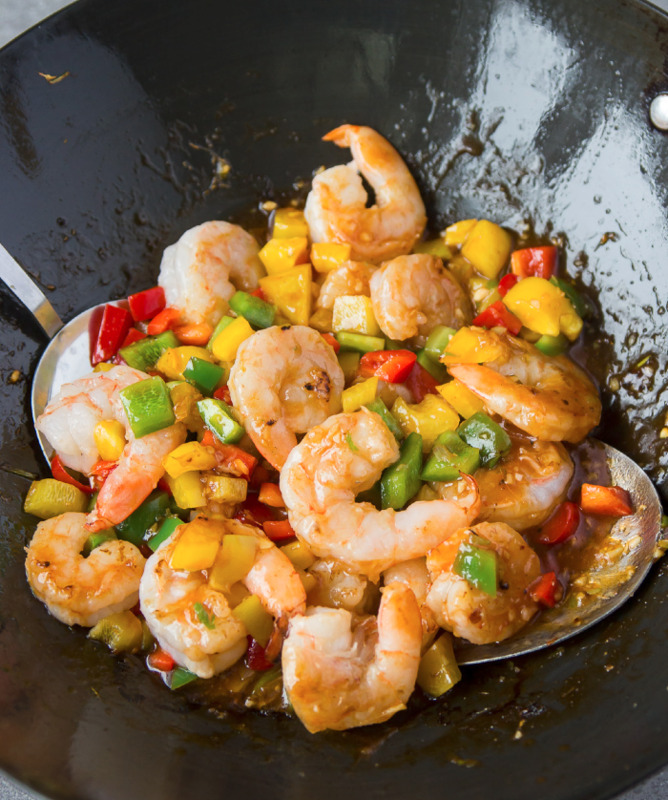 Heat a wok or skillet, add 2 T. of oil and heat until very hot. Add half the shrimp and toss lightly until they turn pink and curl. This should take no more than 1-1/2 minutes. Do not overcook. Wipe out the pan, add 1-1/2 T. of oil and heat. Add the remainder of the shrimp and cook in the same manner. Drain off the oil, wipe the pan, and add the remaining 1 T. of oil to the pan. Add the minced seasonings and stir fry for 10 seconds. Add the bell peppers and stir fry for about a minute over high heat. Add the sauce mixture and cook, stirring constantly to prevent any lumps, until thickened. Add the cooked shrimp, toss lightly to coat and transfer to a serving platter.